No spacesuit or rocket ship is required! Moon Zoo allows you to explore the Moon’s surface in unprecedented detail – and help scientists along the way. New high-resolution images, taken by NASA’s Lunar Reconnaissance Orbiter Camera (LROC), offer exciting clues to unveil or reveal the history of the moon and our solar system. You can help us to organise and understand these images. 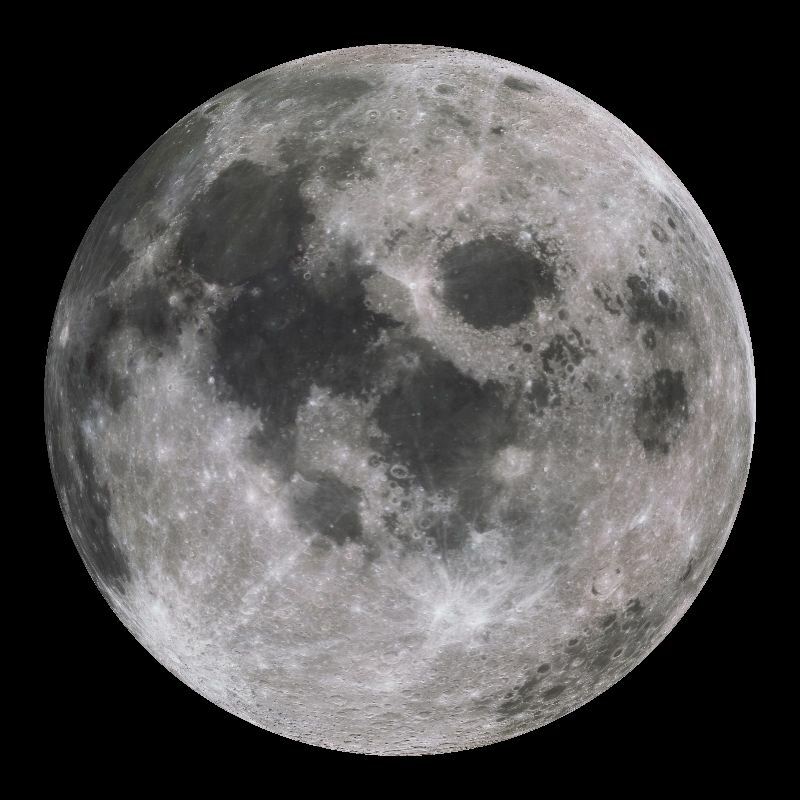 Scientists are particularly interested in knowing how many craters appear in a particular region of the moon in order to determine the age and depth of the lunar surface (regolith). Fresh craters left by recent impacts provide clues about the potential risks from meteor strikes on the moon and on Earth. “We hope to address key questions about the impact bombardment history of the moon and discover sites of geological interest that have never been seen before,” said Katherine Joy of the Lunar and Planetary Institute and a Moon Zoo science team member. So go and start exploring the Moon! Take a look at the tutorial to learn how it works and then begin getting up-close an personal with our closest astronomical neighbour. 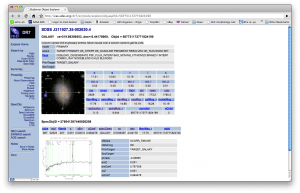 When we were putting together the original Galaxy Zoo site, almost as an afterthought, we added a link to the SDSS Sky Server, a background page of information on each and every galaxy compiled by the survey team. Sloan is special in astronomy because of its remarkably open data policy; rather than keep hold of the data for years or reserve specific parts of the science for those who’d spent large parts of their careers constructing, building and operating the survey telescope, after initial verification the data was released to the wider world. More importantly, they build a whole host of tools for astronomers to explore the data, ranging from Casjobs a service where one could submit database queries to tools to provide images. The huge success of Sloan is, I think, partly down to this very open policy, but I don’t think anyone on the Galaxy Zoo team gave much thought to what would happen if we allowed Zooites to explore further. The only reference I can find in my early emails is from Anze, who points out, correctly, that it’s ‘quite a compelling procrastination tool…’. Rather than just fuelling happy procrastination, though, many classifiers, particularly those on the forum, have dived deeper into the data. Sometimes, these extra tools – now available for SDSS galaxies from the My Galaxies page – have just been used to provide context, but sometimes they have been used in detailed scientific investigations like those that led to the discovery of the peas and my new favourite object, Mitch’s ‘Mystery’ Star. In many ways, I think that these stories – of professional astronomers and zooites pouring over the same data – fullfil the original goals of those who took such pains to make tools like Sky Server work. They’ve certainly become very important to us, as we begin to think about how to encourage more people to move from clicking to discussing what they’ve found (while still classifying, of course!). Just over a year ago, though, we realised that we were very dependent on what Sloan had already built. The latest incarnation of Galaxy Zoo mostly includes galaxies from large Hubble Space Telescope surveys. In some cases there is a lot of data available online, but it’s never as easy to find what you’re looking for as putting up a link to the Sloan Sky Server. As budgieye put it on the forum, “This was getting to be so much effort finding the galaxies, I was starting to feel like a grad student.” For other Zoos, further from our home in astrophysics, there may be nothing available at all. Thanks to a generous grant from the US National Science Foundation, though, we can do something about this. As of yesterday, we have a full time programmer based at Adler Planetarium in Chicago devoted to solving this problem for Galaxy Zoo and for two forthcoming projects. His name is Michael Parrish, and he’s actually being working on the Zooniverse backend while at SIUE for the last year or so. Michael and I will be looking for suggestions as to what we he should work on – feel free to leave a comment here or on this forum thread. Do you want to be able to zoom in and out around interesting galaxies, or is knowing how far away they are more important? If spectra leave you cold, what sort of interface would help you explore them? All suggestions welcome – and in the meantime, you should start seeing changes pretty quickly as we try and open up as much of the data to as many Zooites as possible. Just a quick heads up to advertise a great project run by Greenwich Royal Observatory. The astronomy photographer of the year competition invites members of the public to submit their images of the night sky. This year they are asking guest astronomers to curate flicker galleries of their favourite entries and have asked me to take part this month. You can find my gallery and links to the flicker pool at here. I cant heap enough praise on the entries, pretty much all of the images are simply stunning and it was a hard job to pick just 18!